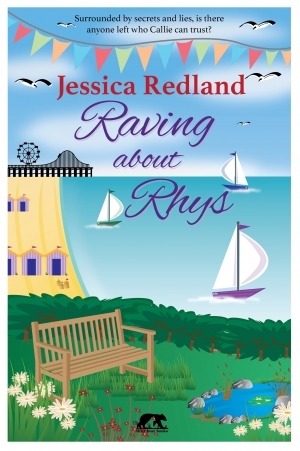 This week, my What I Learnt From... series continues and I am happy to welcome Jessica Redland back to my blog to share the lessons she learnt from writing her Whitsborough Bay series, Searching Fir Steven, Getting Over Gary and Dreaming About Daran, plus, of course the related novella, Raving About Rhys. When it comes to writing, I’m a bit of a pantser. I like to put fingers to keyboard and see where the characters take me. I’ve tried planning my books in a lot of detail but I’ve always ended up massively deviating from the plan because the characters develop differently or twists suddenly come to me while I’m driving or in the shower. But, I still have an overall plan. I know the overall premise of each book, how they’re going to end, who the characters are, and the dilemmas I’m going to throw at them. My personal view would be that you need this for any book you write, but I think it’s even more important for a series because it helps you work out whether each book in the series is strong enough to stand on its own, and whether you have the order of the series right. In my mind, what makes books a series is consistency of both characters and setting. It doesn’t mean that your cast of characters can’t grow or diminish, and it doesn’t mean that your characters can’t go to new settings but some consistency is key. I created a North Yorkshire seaside town called Whitsborough Bay. It’s predominantly modeled on Scarborough where I live, but I wanted somewhere fictional so that I could change things. Searching for Steven starts in London but moves to Whitsborough Bay. 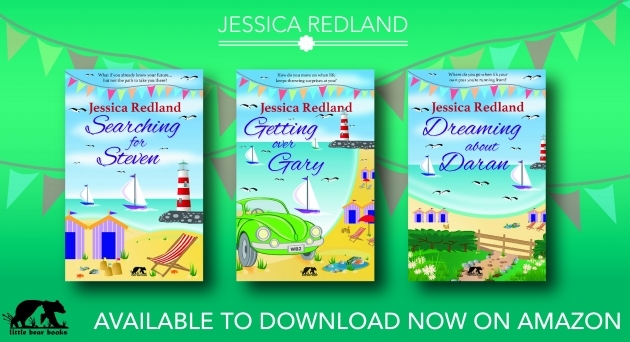 Getting Over Gary (book 2) is purely set in Whitsborough Bay, but book 3, Dreaming About Daran, is mainly set in Leeds and Ireland. There are lots of links with, and visits to, Whitsborough Bay, though. Quite early on, I started a spreadsheet so that I could capture the names of streets, pubs, cafés, shops etc. My memory isn’t good enough for me to remember all these little details, but I certainly didn’t want to confuse the reader by changing the names of places mid-series. There will always be readers who pick up a book and don’t realise it’s part of a series, therefore reading it out of order. There will be readers who read the series in order but have significant gaps between reading each part and need a little memory refresh. I’d therefore suggest that each book is written so that it can be read as a standalone novel. This is a careful balance as you need to have some summaries/back stories without having so much that those familiar with this information will be put off. From the reviews I’ve had which mention this point, I’ve thankfully managed to achieve this. This is a tricky one. If a writer is looking to have a really long series or if they secure a publishing deal early on and are facing submission deadlines, this might not be possible but, if you can, I’d suggest writing it all before releasing it. Why? Because, as you progress in the series, you will come across scenarios that would work better if you’d been able to create a character/plant an idea earlier on. I didn’t do this. I secured a publishing deal when I’d only written Searching for Steven and had half-written Getting Over Gary. Steven was actually released before I’d written any of Dreaming About Daran. I was lucky because there weren’t any major changes I’d have made if I’d finished the series first, but there were a few minor points here and there. None of them are significant enough to have stuck in my mind. If I hadn’t had an overall plan for the trilogy though, I’d have massively messed things up. I knew that Clare, the protagonist of book 3, had a secret about her past. At the time I wrote book 1, I wasn’t sure what Clare’s secret was, but I was able to set this up nicely in book 1, build it in book 2, then reveal it in book 3. If I’d gone beyond a third book, I suspect that there’d have been other details that I needed to set up right at the start which is why I’d suggest writing the whole series if you possibly can. When I had the idea for Searching for Steven, it was meant to be a standalone book. I was so shocked that I had a fully-formed idea for a novel, and very aware of the huge task ahead of me in writing it, that I didn’t think beyond writing that one book. In the book, Sarah finds an old cassette recording of a clairvoyant reading from when she was 18. Now aged 30, everything on the recording has come true except for one thing … she’s about to meet the man of her dreams and his name is Steven. Every protagonist needs a good friend to turn to but, in this case, I wanted Sarah to have two best friends: one who’d wholeheartedly believe the prophecy and push her into her search for Steven, and another who’d dismiss it as a pile of gibberish. As I developed the two friends, Elise and Clare, it became apparent that they had stories of their own to tell: big stories that couldn’t be confined to a sub-plot. So my trilogy was born. Well, that’s the problem. I didn’t want to finish. I’d lived with my Whitsborough Bay setting and characters for about 13 years (it took me a decade on and off to write my first book) and, when the trilogy concluded, I didn’t want to let it go. I realised I didn’t have to, though. I’ve written 3 more books since then and they’re all set in Whitsborough Bay. Each features a new cast of characters but there are cameos from those who appear in the original trilogy. Fans of the trilogy will love spotting some old friends and those who are new to the books won’t think their presence is peculiar as there’s a reason why they are in the story. In Searching for Steven, Sarah owns a florist’s shop on Castle Street. It’s a cobbled street full of independent shops and cafés, inspired by a combination of a street in Scarborough called Bar Street, and the wonderful cobbled streets in Whitby up the coast. 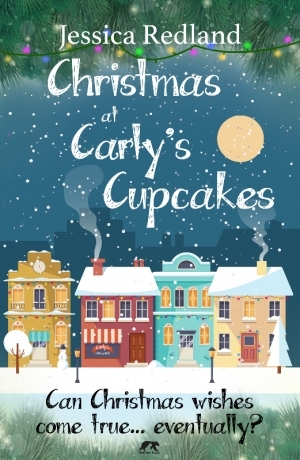 My first full-length novel post-series, Bear With Me, is partly set in a teddy bear specialist retailer opposite Sarah’s shop and my two Christmas short novels both feature businesses on that street. As a result, I’ve had to draw myself a plan of the businesses in the street so that I can remember which business is next to/opposite which business before I trip myself up! Apologies for the delay in responding to all these lovely comments. I was away at the weekend and came back to a very demanding day-job workload so I've been doing 14-16 hour days on that so far this week. Finally have a breather so can respond! TARA - Aw, you're so good to me. Thank you so much for the lovely comments. Really glad there have been some helpful tips. Wishing you the best of luck with NaNoWriMo. I managed to finish Gary and start Daran one year doing that and I dread to know how long it would have taken me if I hadn't had that focus! LOUISE - Really glad you enjoyed this as a reader, too. Thanks for the lovely comments about my covers. We've actually changed them again! The original paperback ones were from my publisher and I'm now an indie writer so we needed to change them. I decided they could do with another refresh so you'll see yet another variation on Amazon! ALEXIS - Thank you so much. That definitely sounds like you've got the cogs whirring and I wish you every success in either starting to write for the first time or taking your writing in a new direction. Hope I haven't missed anyone out! Thank you so much to Susanna for being a fabulous host and brilliant supporter of my work. Wishing everyone an amazing week. Tara, Jessica will be thrilled to know how much you enjoy her books. I agree - when you like an author, it is especially interesting to see their writing process. Good luck with your Nano writing. I have sneaked a look at your word count and you are doing really well. You are the first in our online group to get past the 20,000 words mark. Congratulations! Kirsten, I am glad that something in Jessca's post resonated with you. I too write books set in the same location, so this point was important to me as well. I so enjoyed reading this post (even though I should be writing NaNoWriMo and not reading). I absolutely adore Jessica’s books so learning more about the process behind them is fascinating. Some useful tips too! Ooh, Alexis, do I detect a flurry of inspiration?! I'm delighted you found Jessica's guest post interesting. I hope you will be able to make use of her advice in the future. Hi, Louise. I'm glad that you found Jessica's post interesting from a reader's point of view. And I know what you mean about the change of cover illustration. I too have the old version of Steven et al. I think both versions are attractive in different ways, but the new covers perhaps have a wider appeal. Thanks for commenting. Really enjoyed reading this post and getting some insight into how you built the world of your series. It has got me thinking! The idea of each book in a series telling a story through a different (but linked) main character is very interesting to me. I will look up your books as I'd love to explore this idea further. 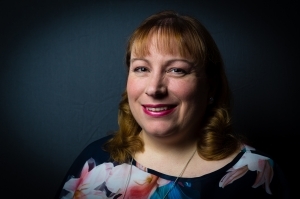 I realise that Jessica Redland wrote this blog post for other writers, but, as a reader, I enjoyed it too. As readers, we don't see the tricky bits about writing - we just enjoy the finished result. PS Lovely covers! I have been comparing the new Searching For Steven picture with the one on my paperback and trying to decide which I like best.